Hey, y'all! 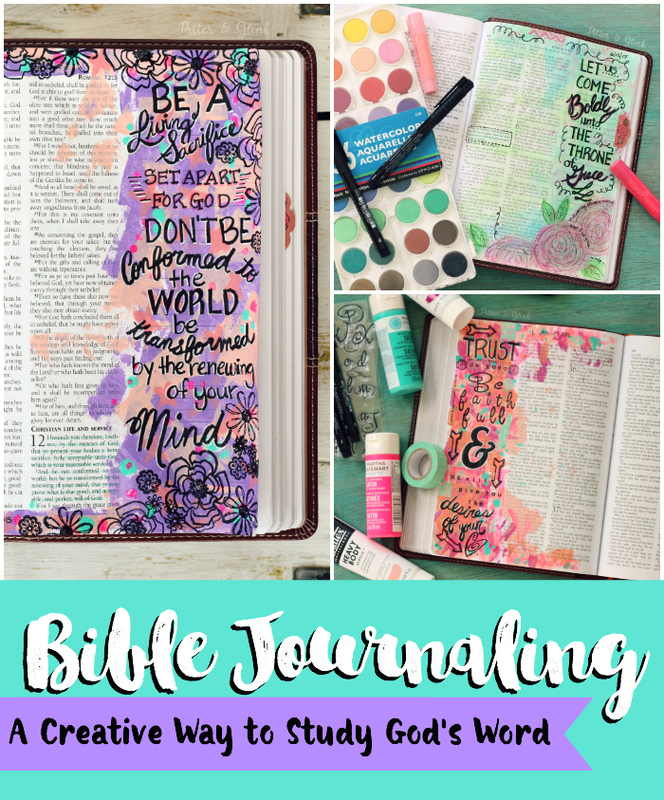 I have become obsessed recently with three things: hand lettering, watercolor, and Bible journaling. This week, I found a way to combine all three of my new faves into a fun freebie for y'all: free hand-lettered Bible journaling cards! If you want to add your own personal touch to the hand lettered cards by coloring them yourself, download the black and white journaling cards. If you want to use the journaling cards with the watercolor backgrounds that I painted myself, download those and let them inspire your page design. 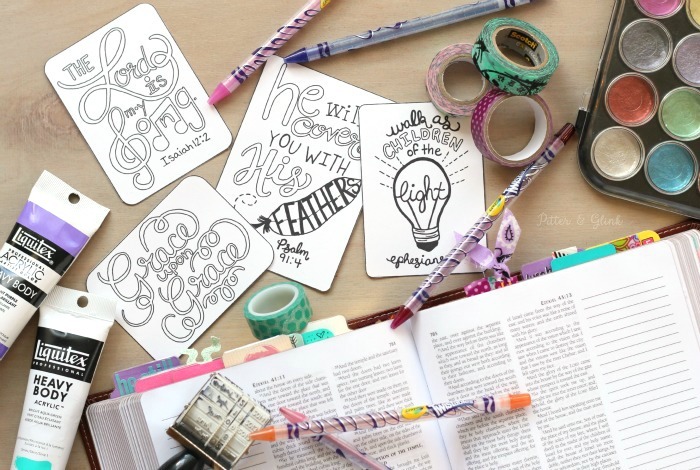 Simply use washi tape or paper clips to attach the cards to your Bible pages, or tape the cards to your bathroom mirror or the dash of your car for a little encouragement. 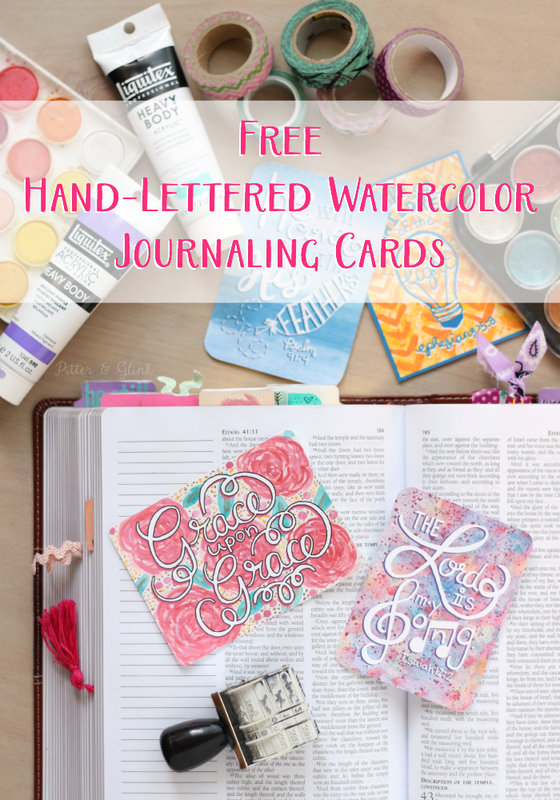 Download the watercolor journaling cards here. Download the black and white journaling cards here. 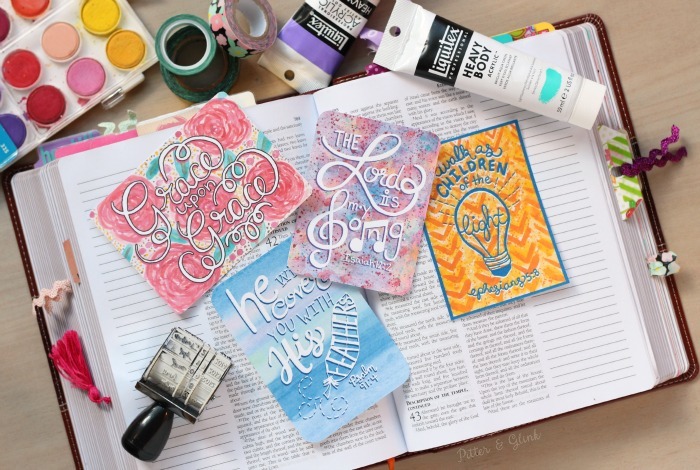 I think the "Grace upon Grace" journaling card is my favorite. I simply cannot grasp how God constantly gives me grace and mercy when I don't deserve it at all! (Plus, I love the watercolor roses!) Honestly, I love all of the cards though, and I hope you do too! 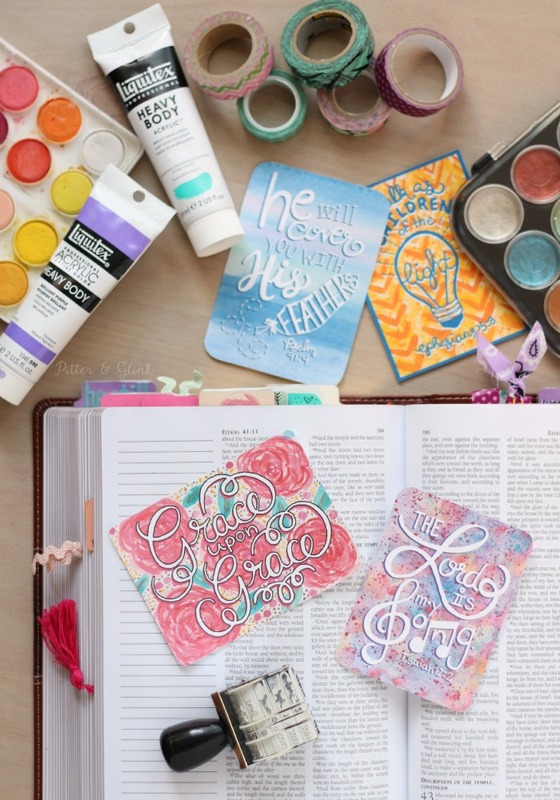 If you use one (or all) of the cards on one of your Bible journaling pages, I would love for you to share the page with me on Facebook or tag me on Instagram or Twitter. I can't wait to see how you use them! 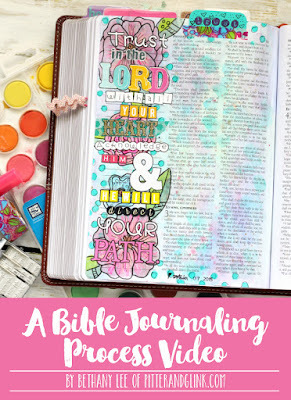 Such pretty journaling! And I love that the you have both colored and b&w versions of the cards. Thanks! These are just lovely!! Thank you for sharing with us! Thanks for the freebies. They are adorable! 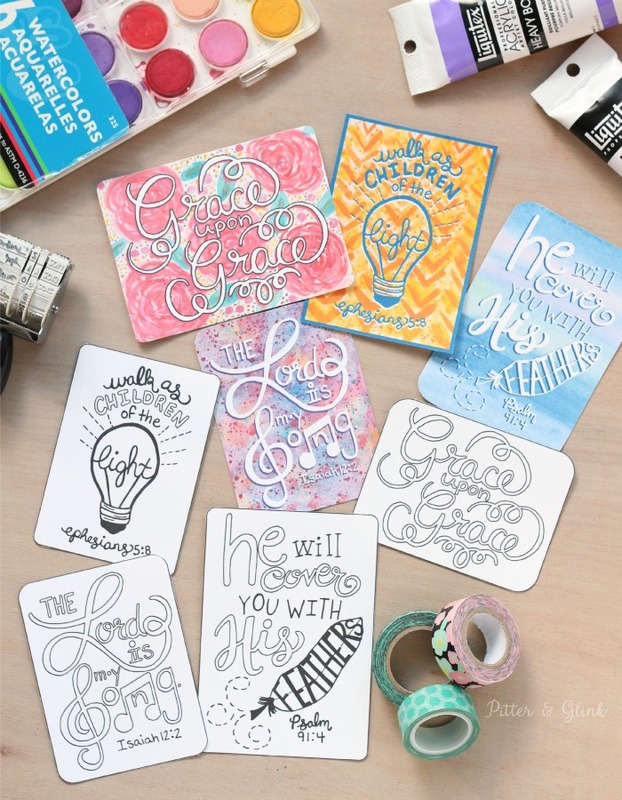 Bethany, they are gorgeous journaling cards. Thank you so much for sharing them with us. 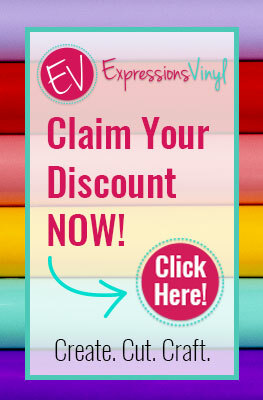 I just found your site yesterday on Pinterest and it is filled with so much goodness. Thank you for sharing all of your creativity with us. 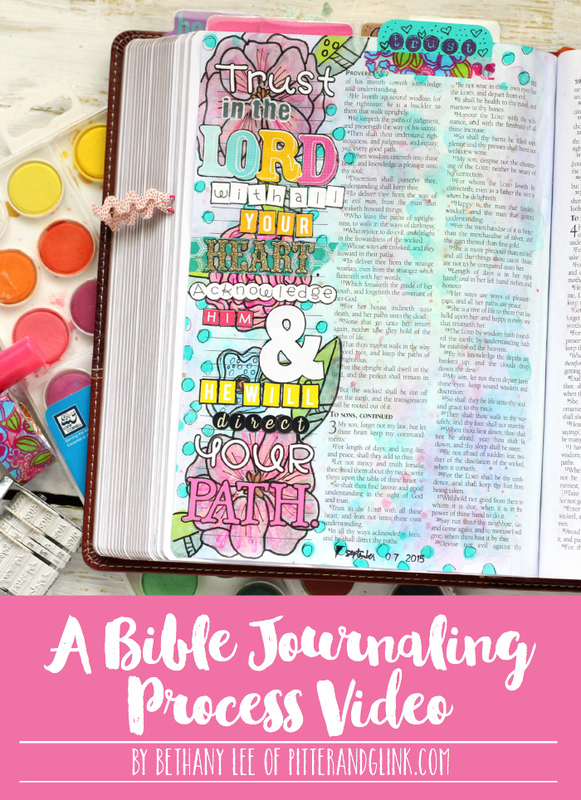 I appreciate the free printable links for my faith journal. Thank you, thank you! Thank you for bringing this wonderful materials to us. May God bless you always! LOVE you blog! Thank you for giving the Word of God to others in such inspiring ways! I am a blogger too and am linking your blog on one of my posts. Hope that is ok. God's blessing upon you as you continue to serve Our Lord Jesus Christ! 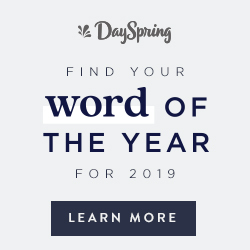 My blog, homesteadranchblog.com. Thanks you! Muito Obrigado!! Very, very Beautiful!